Midfield rotation. Breaking from deep. 11 blacks set them up in team shape. Ensure that player on outside of middle section swop places and do not stay in there positions, especially full backs and wide player. 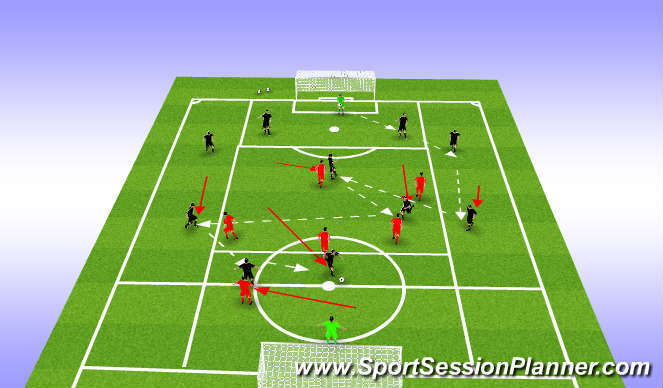 Work through passing to try and release midfield player through quick passing. Timing of runs, seeing the space etc. If reds win ball score, blacks must defend.